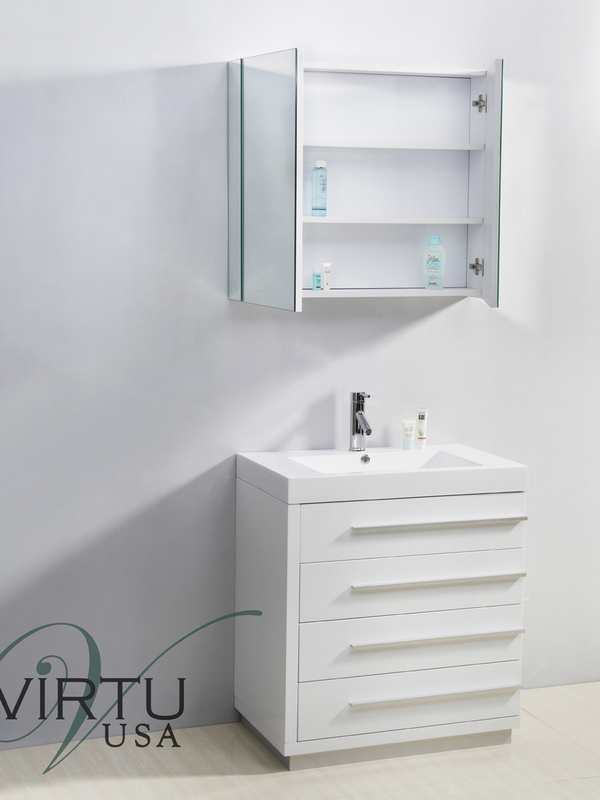 Great for small bathrooms, the 31.5" Bailey Single Bath Vanity offers style and function in one beautiful piece. 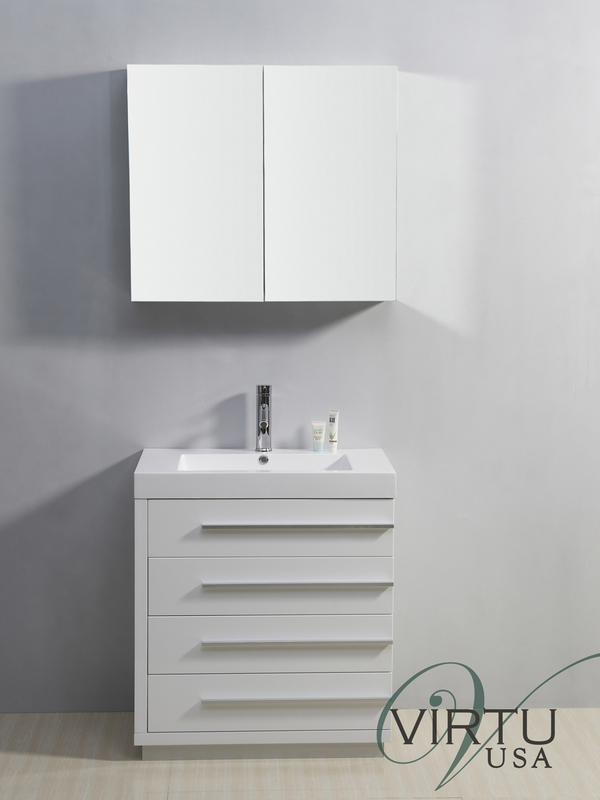 Its cabinet is constructed from plywood and composite with a melamine gloss finish in White. 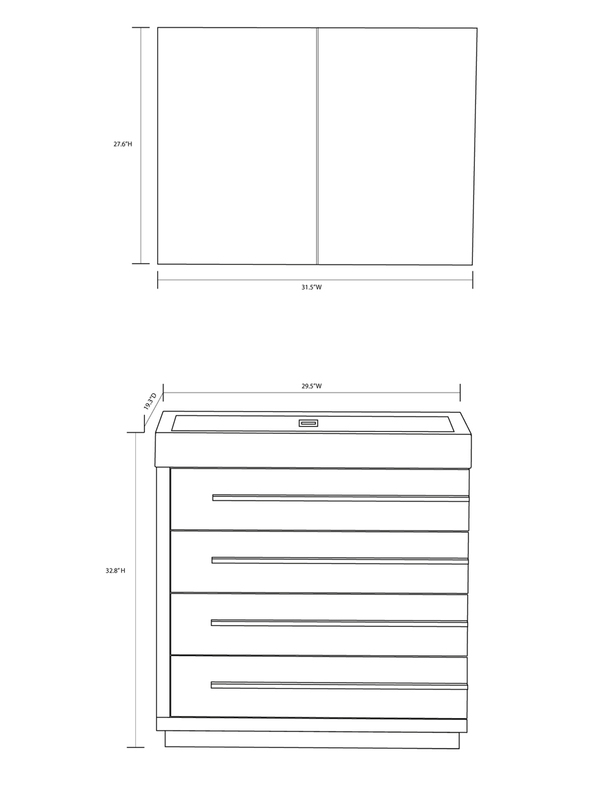 Each of its four spacious storage drawers are equipped with soft-closing glides for enhanced durability and adorned with a long Satin Nickel handle. 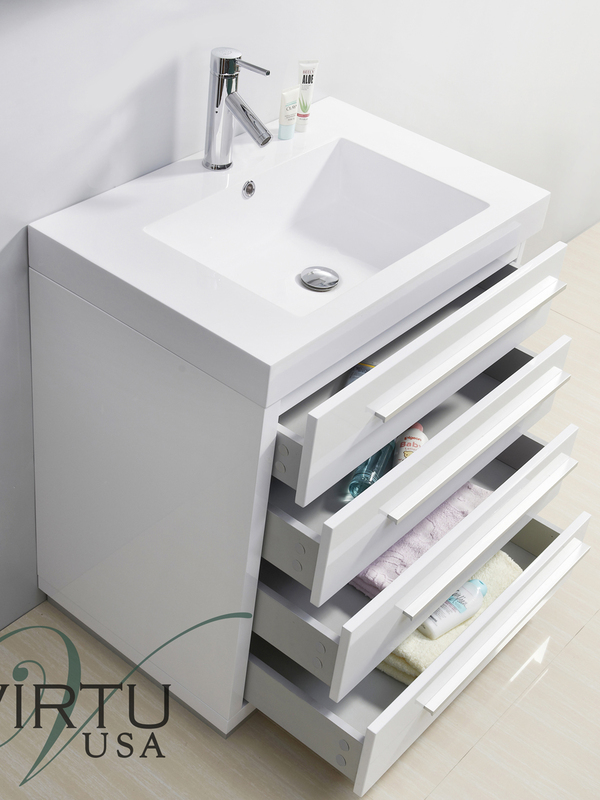 For a unifying look, its top is composed of a white polymarble and features an integrated sink top design. 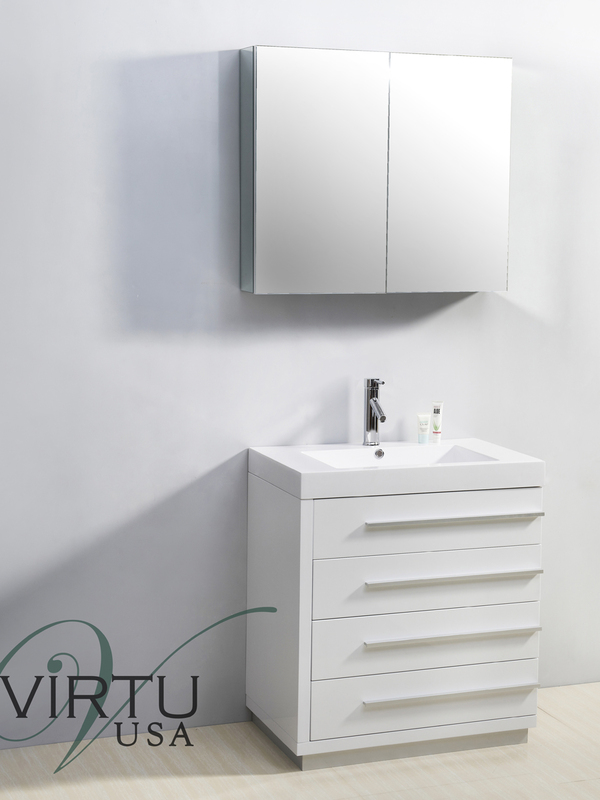 A chrome single-hole faucet and mirrored medicine cabinet also comes with the Bailey Single Vanity.